I married well – Justin is the king of research – if ever I need to make a decision on a big purchase, or to decide on one service provider over another, Justin’s the man I go to! 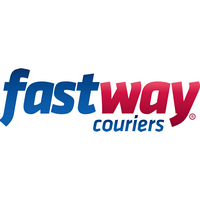 He’ll spend absolutely yonks researching which company offers the best service at the best price, which is how we landed up using Fastway Couriers for Mint. You have to outlay a bit of cash upfront (you buy prepaid courier labels), but they’re by far the most cost effective and efficient couriers that I’ve come across, and they work in a quite an unusual way: instead of dealing with a big office, you have one person responsible for your area, and that’s the only person you speak to, which makes life much easier! Love how you are able to phone the delivery driver for your area too, and chat directly to them.